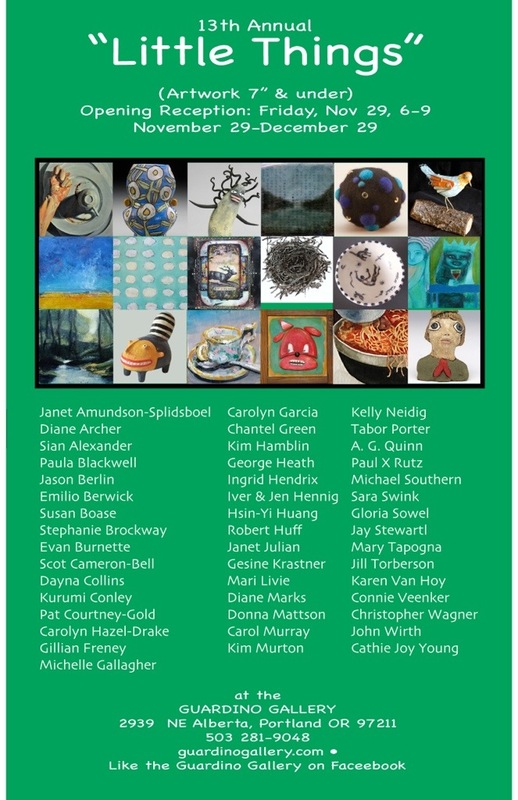 If you are in Portland, or will be sometime between November 29th and December 29th stop by the Guardino Gallery in North Portland and see some of my felt work and the work of many other talented artists all working to the theme of art 7″ and under. 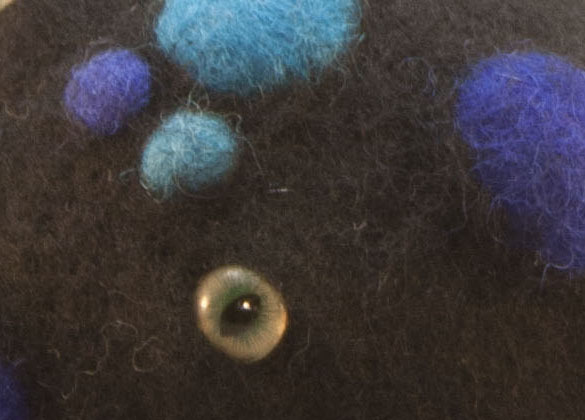 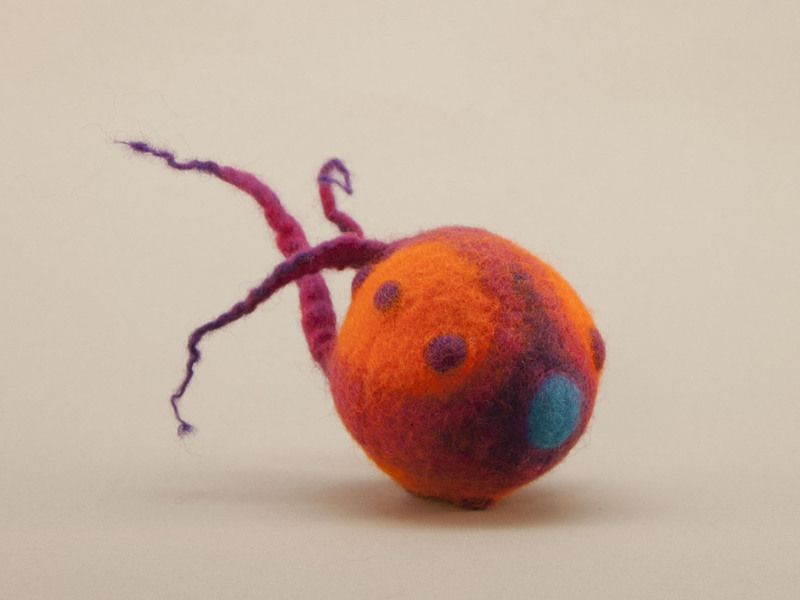 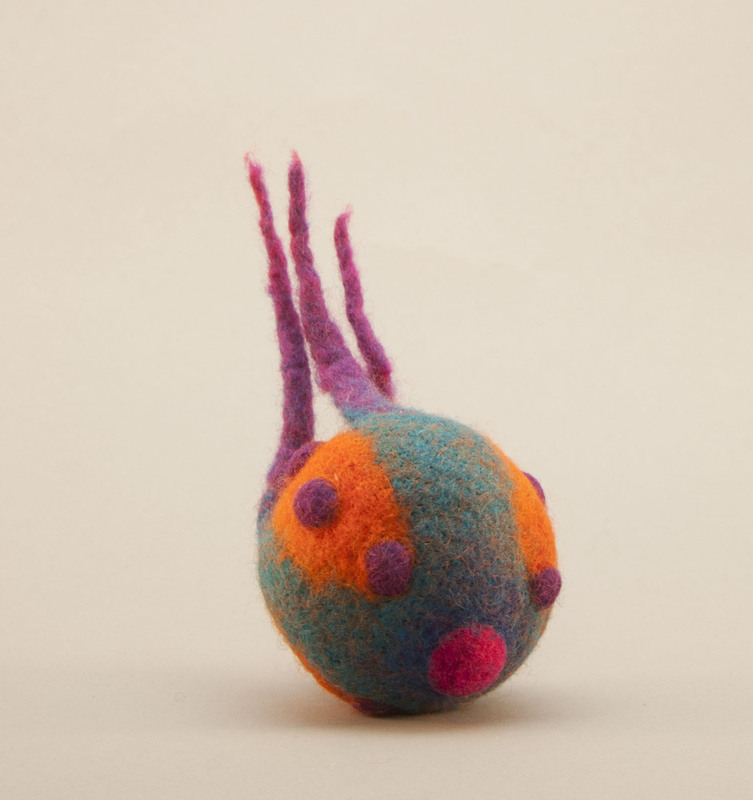 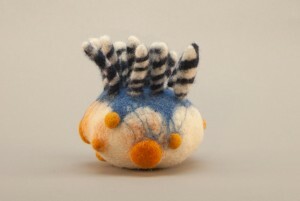 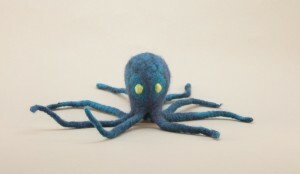 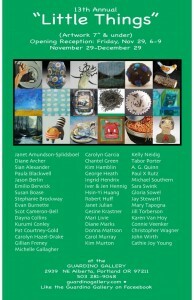 Click through to see the flyer and some more sneak peeks of my felt work. 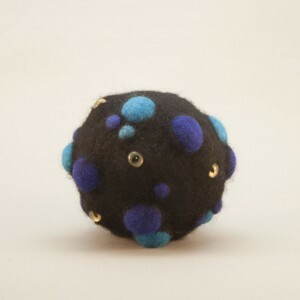 ← Progress in the world of felt!